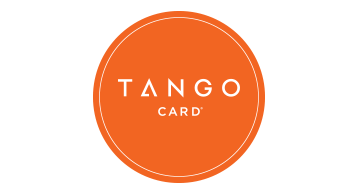 Tango Card provides e-gift cards, digital prepaid cards, digital checks and an API to send them all. Enjoy the simplicity of working with Tango Card to engage users, drive loyalty, or disburse payments. We also provide detailed on-boarding, responsive customer success managers, and recipient support for all recipients of the products we send. Learn more at TangoCard.com.